The people in the Eastern Island Corridor have modern lifestyle. They are the permanent inhabitants and are involved in industries and services for income generation as this place has a large number of industries. The people are literate and well developed; science and technology are well developed there. The people living in this climatic region export copper, iron, tin, uranium etc to the European countries. The people in this region have primitive lifestyle. Most of them are nomadic inhabitants. They are involved in hunting wild animals, gathering wild fruits and edible roots for survival. They use a long pipe and the arrow with poison to hunt the animals. They are illiterate and undeveloped due to lack of contact with the modern world. Pursue tribe are involved in shifting agriculture in this region. Although the Savanna Climatic region covers nearby 15% of the world’s total land, it does not support the same proportion of the world population. Generally, the tribes Masai and Hausa live in this region. They don't have a permanent settlement as they have a nomadic life. The people of that region keep cows, buffaloes, goats etc. for milk and blood only. They don't eat meat. They travel time to time with their families and cattle in search of grass and water. Many of the people live as settled life practicing agriculture. But nowadays, most of the people have changed their lifestyles of typical into modern. They live permanently there as the government has established national parks, wild life reserves. So, the people have been involving in tourism sectors, commercial farming, animal husbandry, lodging and managing hotels, etc. As the people were not able to graze their animals because the land was declared as national parks, this forced them change their lifestyle. Tourism development is one of the major industries which can attract a large number of tourists. 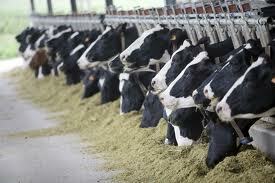 Animal husbandry can be developed as there are large land areas with hygienic grass. Commercial farming can be developed as the land is fertile and agriculture products can be high. Many hotels and lodges can be opened as large numbers of tourist visit here. Gypsy people live in this area. They don't have permanent settlement. They have temporary settlement where they move from one place to another place with camels. They live in tents, and rear camels for meat, milk and means of transportation. Camels are called the ship of the deserts because they can survive in desert. Permanent settlement of people can be found in these areas. The people rear camels, goats and other domestic animals for meat, milk and means of transportation. Some of them are also involved in agriculture, industries and services. They grow dates, palm, wheat, cotton, maize, sugarcane and vegetables. Some of the people are found in mining sector where the petroleum product is found. The dense population affects the agricultural practice of the people residing in this area. Terrace farming, farms, etc. are small and people are forever land hungry. The soil is suitable for the cultivation of cash crops like rice, maize, millet, sugarcane and jute. Besides agriculture, people are engaged in animal rearing, fishing etc. The people in the Equitorial Eastern Island Corridor have modern lifestyle. They are the permanent inhabitants and are involved in industries and services for income generation as this place has a large number of industries. The people are literate and well developed; science and technology are well developed there. The people living in this climatic region export copper, iron, tin, uranium etc to the European countries. The people in the Equatorial Amazon and Congo Basin have primitive lifestyle. Most of them are nomadic inhabitants. They are involved in hunting wild animals, gathering wild fruits and edible roots for survival. They are illiterate and undeveloped due to lack of contact with the modern world. Pursue tribe are involved in shifting agriculture in this region. People in the Tropical Grassland Climatic Area have a nomadic life. The people of that region keep cows, buffaloes, goats etc. for milk and blood only. They travel time to time with their families and cattle in search of grass and water. But nowadays, most of the people live permanently there as the government has established national parks, wild life reserves. They have been involving in tourism sectors, commercial farming, animal husbandry, lodging and managing hotels, etc. Lifestyle in the Tropical Desert Areas are Gypsy people. They have nomadic lifestyle. They roam from one place to other with their camels in search of food and water. The people have permanent settlement in the areas where water is available. The people rear camels, goats and other domestic animals for meat, milk and means of transportation. Some people are involved in agriculture, industries and services and grow dates, palm, wheat, cotton, maize, sugarcane and vegetables. Tropical Monsoon Climate Area has dense population and it affects the agricultural practice of the people residing in this area. The soil is suitable for the cultivation of cash crops like rice, maize, millet, sugarcane and jute. Besides agriculture, people are engaged in animal rearing, fishing etc. The tropical monsoon climate is favorable for cultivation. How? Discuss in the class. 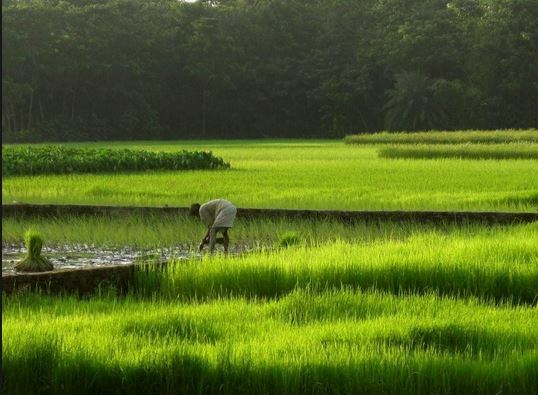 Most of the cash and food crops are grown in summer, especially paddy, sugarcane, jute, maize, etc. In monsoon climate, the temperature remains high in summer. It rains a lot during summer. Such climate conditions are favorable for agriculture. So, paddy sugarcane, jute, coffee, cotton, etc. are produced in large quantities. Most of the countries which lie in this climate as India, Pakistan, Myanmar, Bangladesh, Nepal, Bhutan, etc. are agricultural countries. Giving the example of monsoon region, describe the relationship between the climate and vegetation. Nepal is also a country of monsoon region but there is vast difference between the vegetation in the mountain and the Terai. Why? The natural vegetation of monsoon region varies with the amount of rainfall, soil and slope like tropical rainforests, monsoon deciduous forest and scrub vegetation. In the areas where there is sufficient rainfall and heat, we can find tropical rainforests. Then, the plants shed their leaves in the winter. Similarly, the areas with sandy and gravely soil and little rainfall do have scrub vegetation. Nepal also lies in the monsoon region but there is vast difference between the vegetation in the mountains and Terai. For this, altitude plays a great role. In the Terai high temperature and ample rainfall permit the rapid growth of the forest. The trees are tall with straight trunks and branches in the upper part. These are broad leaved umbrella shaped evergreen trees. Unlike this, the vegetation like the temperate coniferous forest; the alpine grasslands and the tundra vegetation which can bear the cold are found in the mountain region of Nepal depending upon the height. We experience this difference due to difference in height. Describe the characteristics and life style of tropical Monsoon. Tropical Monsoon is one of the climatic features found around the world. This kind of climate is found in 5°to 30°south and north of Equator. The most common feature is that the places in this climatic belt receive rainfall/monsoon during the summer. So, in the summer it has hot and wet where as in winter cold and dry type of climate. This is because the wind blows from sea to land in summer and from land to sea in winter. In the context of Nepal, the rainfall amount in Terai to Himalayan and eastern to western vary because of distance from the sea and altitude of the places. The life style of the people of this area is different because of the climatic style of rainfall. Rainfall in summer supports good vegetation, so many people are framers. Paddy is an import-food crops whereas jute, cotton, sugarcane, tea, rubber, coffee fruits are important cash, crops. Here, flows some large rivers which has supported the agriculture. Industries and trade has been flourishing here. The eastern cultures of Hwang-Ho, Indus valley are historical but they are almost declined by more interest over western culture. There is very high population density in the monsoon region. India, Bangladesh, Bhutan, China and Nepal are the examples of it. Find out the causes of high population here. Yes, there is high population density in the monsoon region. This region experiences enough rainfall and high temperature as well. The soil of this region is also fertile. Various kinds of food crops and cash crops can be grown here. The people use agricultural land and settle nearby to make their work easy. Agriculture needs more hands, so people produce many children. India, Bangladesh, Bhutan, China and Nepal are examples of it. These countries economy is mostly based in agriculture. Population growth rate is also high. No countries have made substantial effort to control population. These are the main causes of high population here. Any Questions on 'Lifestyle in the Tropical Zone '?